We've got the buzz on BBQ! Grab these tips that will make you an expert griller. 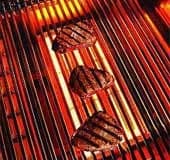 We know it's easy to stuck in a BBQ routine - you fire up the grill, throw some hamburgers or steaks on, using the same seasonings you've used for years. We thought it would be helpful to share some ideas so you can "fall in love with your grill" all over again. 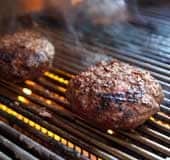 Many grilling enthusiasts take great pride in their hamburger grilling skills. However, for those new to grilling, getting the burgers to come out perfect every time can be a bit of a challenge. Don't worry - just grab a cold beverage and view our tips for building a better burger. Incredible smoky wood aromas mixed with tender meat is a match made in heaven. We've often heard that people are intimidated by the art of smoking. While it does take some knowledge, you don't have to be a BBQ expert to smoke some food. 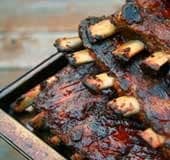 If you own a kamado or kettle style charcoal grill, you can easily smoke briskets, ribs, and roasts. If you want to get serious about smoking, there are also electric smokers to consider. 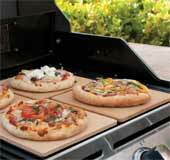 Let us help you find the best BBQ accessories on the market. Get the BBQ tools you need to become a BBQ Master! Whether you're looking for a new BBQ tool set, food injector, grill pad, BBQ skewer or just something different, we have what you need! 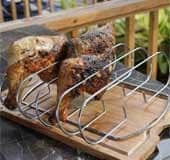 Our great selection of BBQ Gift Ideas provide some of the best BBQ gifts online that are sure to please even the most discerning BBQ enthusiast. From BBQ grills to BBQ accessories and more, you will find the best BBQ gift ideas online from BBQGuys!